They permeate our lives and vanities, but personal care products often bypass safety checks. As a result, a new study finds there has been an increase in the number of reported side effects from cosmetic products in recent years. From 2015 to 2016, complaints of adverse health events related to cosmetic and personal care products more than doubled. Overall, there were a total of 5,144 adverse events -- however, that number may not be entirely accurate. Researchers suspect many events go unreported. Hair care products, skin care products, and tattoos were the biggest offenders, according to the analysis, with the most common complaints being hair loss or breakage and local skin irritation. But other serious injuries, including hospitalization and death, were also reported. What’s behind the sudden increase in the number of reported adverse events? Most likely the FDA’s investigation of WEN hair products in 2014, the researchers say. At that time, the FDA had received only 127 complaints of hair and scalp problems related to the WEN by Chaz Dean Cleansing Conditioners. But once the investigation was underway, the agency discovered the manufacturer had received about 21,000 consumer complaints. The self-regulatory nature of the cosmetic industry makes it harder for the FDA to get harmful cosmetics off the shelves, explained the study's lead author Dr. Steven Xu. A personal care product can land a spot on store shelves without permission from the FDA -- no pre-approval required. And since manufacturers aren’t legally required to report adverse health events to the FDA, unsafe products often remain on the market. The point of the paper, said Xu, is to highlight the need for better data and reporting of health complaints. 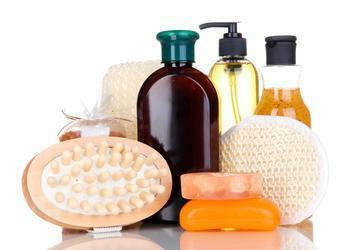 The FDA encourages consumers to report any adverse events stemming from cosmetic or personal care products. Additionally, consumers should read labels and be sure to use caution when trying a new product. The full study is published in the journal JAMA International Medicine.